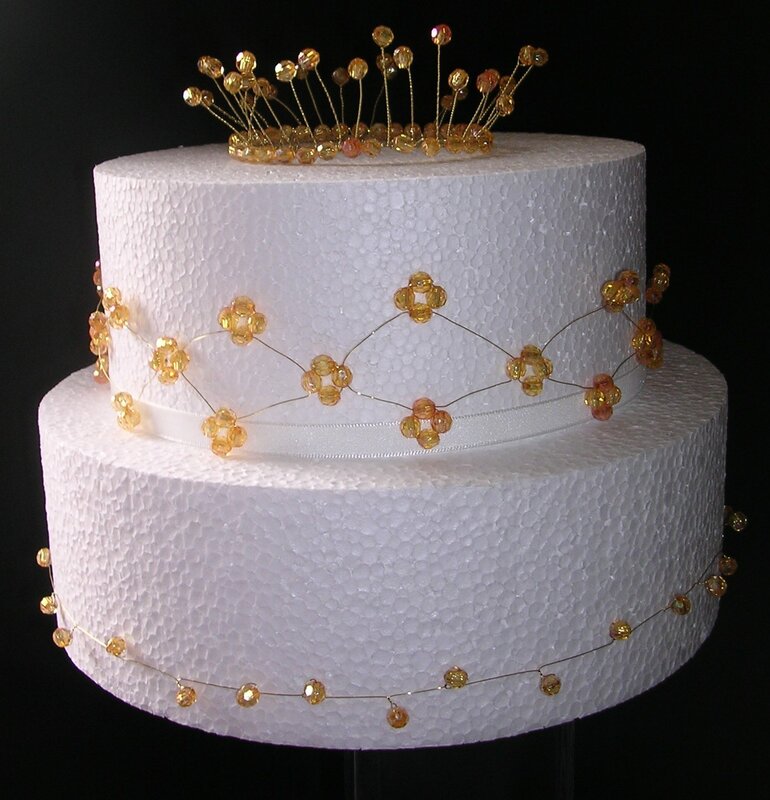 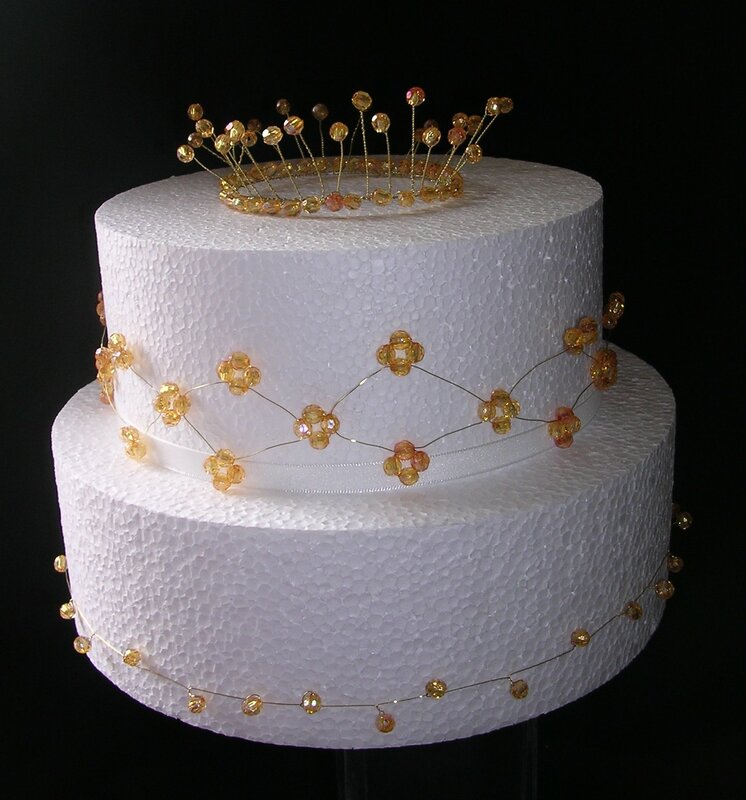 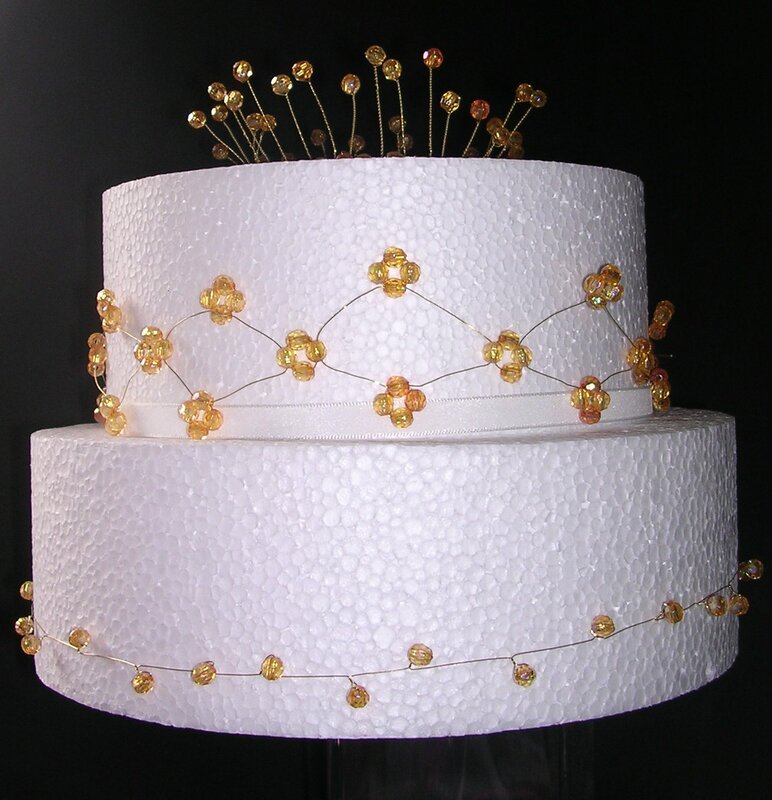 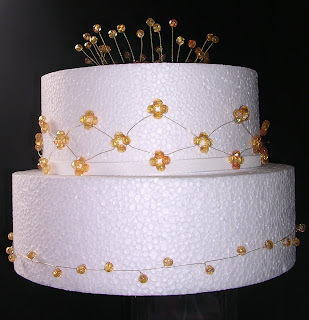 This is a stacked wedding cake with a crystal geometric border on the central tier. 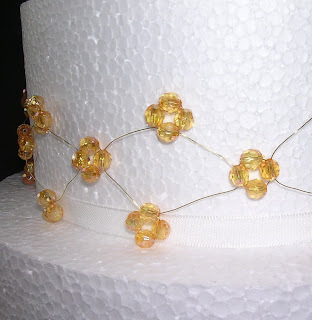 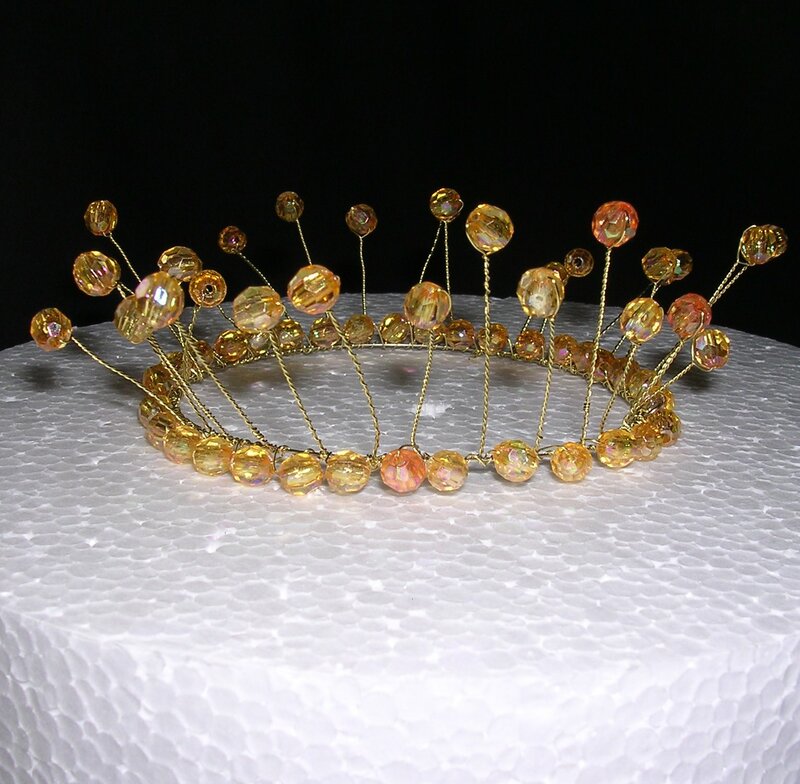 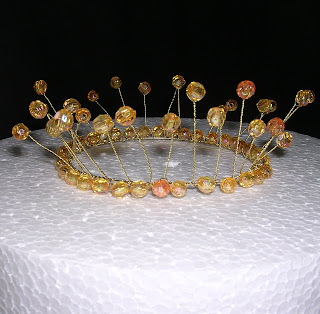 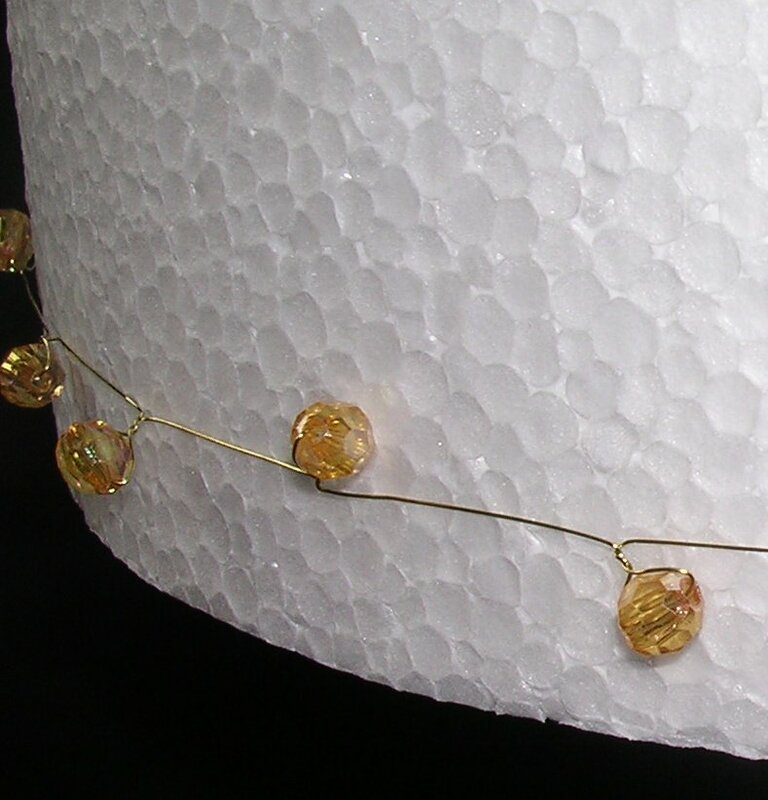 The base layer has a simple beaded wire, but could also have the garland wire. Available in custom sizing to suit your requirements by contacting me. 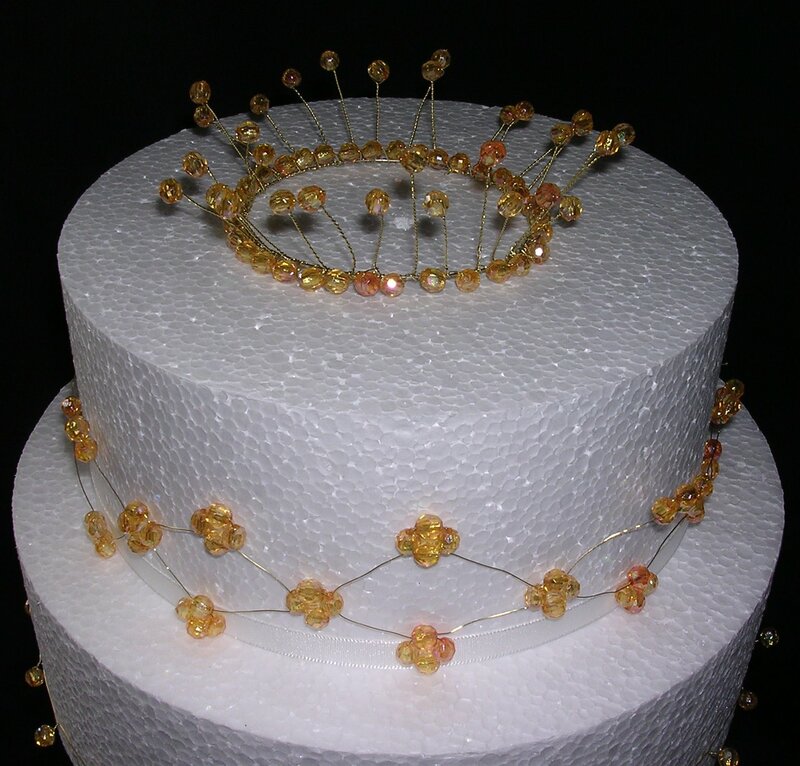 Details are on the about me page.